I often find that my students have a very limited view of the musical landscape. Many of them listen to one kind of music and see no reason to spend their time exploring new genres or styles. Knowing this, I have always felt that it was part of my responsibility as a music educator to introduce my students to music they would not otherwise encounter. Sometimes, students are surprised to find that they like an unfamiliar kind of music. Other times, I find that they are not aware of the fact that the music to which kids their age in other areas of the United States or in other countries is sometimes very different from the music to which they listen. 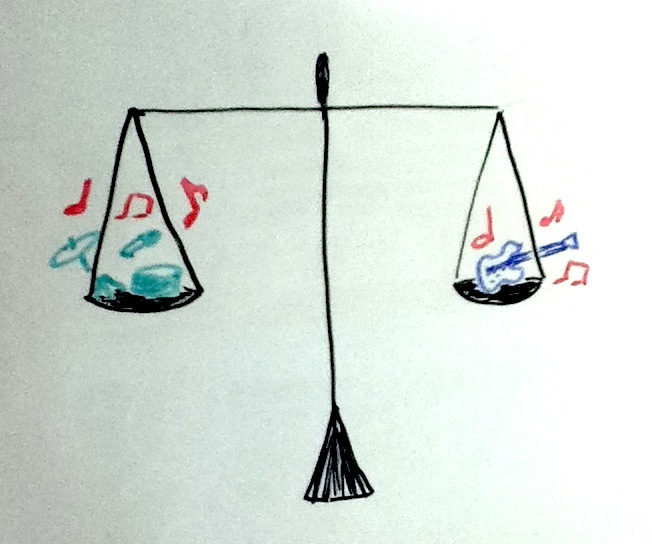 In both cases, being able to bring knowledge to bear on decisions of musical preference is often the missing link. Students can easily say what they like and don’t like, and can determine if a song is within their ability to perform or understand musically. But often they have more difficulty using knowledge to select song or determine preferences. This is in part because students don’t always know what there is to know about a song or musical genre, and they may also not know what such knowledge has to do with what they like or don’t like about a song. Students are often quick to dismiss a song they don’t like, but are not likely to stop and think about why they don’t like it. Today in a seventh grade music class, I gave students a list of popular songs and asked them to pick the ones they felt the class would most enjoy singing. One of the songs that was often selected was “If Only” by Dove Cameron. Although many thought it would be a good song to sing, when I played it many didn’t want to listen. One student said it was a “sleepy” song. I used that observation to launch a discussion of the use of musical elements in the song that made it sound that way. We included tempo and dynamics in the discussion. Why would the songwriter use a slow tempo and soft dynamics for a song? Is this just a dream? The song is about emotional uncertainty and confusion, and about disbelief in what is real. What kind of music best expresses the emotions a person is going through who is experiencing thoughts like these? By considering the artistic choices that led the songwriter to choose a slow tempo and soft dynamics, the students realized that for what the song was meant to express, it was a well-written song. As a result of this insight, some of the students thought they would like the song more the next time they listened to it. They also realized that by usually or even always listening to songs in which the composer has utilized the same musical elements the same way, they are experiencing only a limited range of emotions in the music to which they listen. To more completely participate in the human experience, and music is a landmark part of that experience, a person must participate in a variety of music in which a diversity of expressions and artistic decisions are made. This participation includes performing, listening, responding, and connecting; all four artistic processes in the national arts standards. It also includes going beyond the lyrics and the groove to also probe the use of musical elements to express feelings and emotions, and to create musical structure, which is what allows music to make sense to us. One of my most often used phrases when teaching musical works to students is that a right pitch played at the wrong time is still a wrong note. While pitches, rhythm and beat are all important, it is often advantageous to teach the rhythm first, separated out from the pitches. This gives the student less to think about all at once, and gives the student the opportunity to learn music the way they learn music patterns, with pitch and rhythm separated. This is true of individuals receiving a private voice or instrument lesson, and it is also true of large ensembles. Sections in a band can play, clap, patsch or chant the rhythm they see in their part. Once each rhythm in a four-part texture has been practiced, putting just the rhythms together without instruments can be a lot fun. Assigning separate timbres to different sections can create transparency and interest. The woodwinds with one rhythm might clap, while the upper brass might patsch, as the lower brass chants. Non-pitched drum parts are already rhythm only, so the percussionists can creatively find different timbres without playing their instrument. Choirs can have one timbre assigned to each voice part. Very quickly, rhythm only practice will result in everyone agreeing on a tempo, and becoming more independent in maintaining the tempo. Just the physical movements and transfer of weight that occurs from rhythm only practice instantly improves rhythm and beat accuracy. Students are more free and more likely to want to move their bodies while clapping and patching than when they are playing an instrument. Singers are more likely to be aware of the rhythm and beat while clapping and patching, because they cannot rely on the rhythm of the text to help them with the rhythm. Rhythm only practice causes students to make a more substantial investment in the beat and rhythm, and the fun musical experience it creates motivates them to be even more rhythmically accurate. After rhythm and beat are secure, the next aspect of the musical work that can be brought in is harmony. Before rehearsing a musical work, conductors analyze the score and from that analysis know what the chords are throughout the piece. Here is where keyboard skills are useful. While your students once again perform the rhythms, play the underlying chords on a keyboard. These can just be sustained if an electronic keyboard is used, or you may need to play a rhythm on the chords if an acoustic piano is used, because the chords won’t otherwise be audibly sustained. Next, have the students sing or play their parts at a constant soft dynamic level while you play the underlying chords. If singing, students should use a neutral syllable, not the text. Hearing the chords while they play their parts with accurate rhythm and beat will aid them in tuning, and will train them to audiate chords while they play or sing their individual parts. When a musician can hear the chords and fit his or her single note into the chord, not only does intonation improve, but music making goes up to a whole new level of enjoyment. It’s like discovering a whole level of the music you never noticed before. By now, the rhythm, beat and chords are established, and any issues with pitches can be resolved. Because the pitches are “lining up” correctly and because the students are hearing and listening for chords, errors will be more apparent to them, and they will be more capable of correcting wrong notes. You will also have an easier time detecting pitch errors, because rhythm and beat errors have been largely eliminated. The music doesn’t sound like a confusing mish-mash of sounds; even when errors are made, they occur within a much more organized and accurate performance. Finding and correcting mistakes is not as stressful or unpleasant, and progress and improvement occurs at a faster rate. Expressive intent is an important element in the new core arts standards for music. Under the standards, students determine the expressive intent of the composer, and how the composer uses musical elements to achieve that intent. Students also determine how they will use musical elements to express both the composer’s and their own intent. 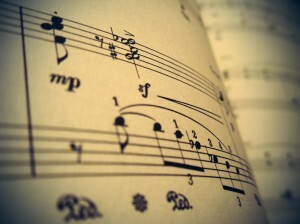 When listening to a performance of a musical work, expressive intent can be the basis of evaluating the performance. Questions like, “how well did the performers convey the composer’s expressive intent” are good prompts for responses. At times, the composer may have indicated what the intent was through spoken or written words. For example, several popular songwriters wrote songs in honor of Martin Luther King after he was assassinated. 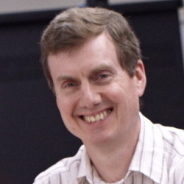 When a composer or songwriter states their expressive intent, then listeners can critically evaluate how successfully the song achieves the stated intent. On Monday, I posted links to several songs about Martin Luther King, anticipating Martin Luther King Day next week. One of those songs was “Dream Speech Auto-Tune” by The Gregory Brothers. The song is just what the title implies: a recording of Dr. King giving his famous speech was processed with an auto-tuner so that both pitch and timbre were altered to create a melody sung with the typical electronic timbre we are used to hearing in contemporary popular music. The song was intended to honor Dr. King, but has always been controversial. I played the songs mentioned in last Monday’s post, including “Dream Speech Auto-Tune” for my middle school students. I told them what the intent was, to honor Martin Luther King, and what the song was, a recording of Dr. King run through an auto-tuner, and then asked them to give me their opinion as to if The Gregory Brothers succeeded in honoring Martin Luther King with the song. Of the approximately 80 students I played the song for and asked their opinion of, only two thought the song was honoring, and one of those was not sure. Interestingly, a mitigating factor for those two was when the song was written. If it was written close enough to the event so that it was a reaction to it, then the song might be honoring; but if it was written far removed from the event, then it would not be honoring. I asked them if the song were written in the 1980s would it be honoring, and they though it would. Then I told them it was written in 2009, and they wavered. This example is a good illustration of one way expressive intent can be combined with student opinion to teach students about music. Many times, expressive intent will be more concerned with emotional expression than paying homage to an individual. Because most of the music students listen to are popular songs, and those songs have lyrics, an issue they often encounter is how well the music expresses the emotions of the words. Popular music, because it is so mainstream, is also prone to be cast in predictable forms that anticipate continued popularity but dull expressive impact with musical cliches and intra-song similarity within the work of individual artists. If it worked to produce the last hit, it will work again to produce the next one. In this context, it is a valid question to ask how well each melody suits the lyrics to which it is set. Similar musical settings suggest similar lyrics. The relationship between variety of lyrics and song topic and variety of music for those songs can begin fruitful inquiries for students. One song will often be more successfully expressive than a similar song with lyrics or music that is dissimilar and from the same artist. Composition projects can spring from realizing that a particular lyric could be more effectively set to different music, or that a particular melody could be more effectively set to different lyrics. All of this creative output is started with evaluating the success of the realization of the expressive intent. Expressive intent and related student opinion is a powerful resource in the music classroom. One of the important things students will have to do under common core is to support a claim with evidence from the text. While this at first glance sounds like something that requires an article to read, music educators can strengthen students’ proficiency at doing this using printed music as the text. Anything that is real and that can be a source of information regardless of the discipline, can be considered a nonfiction text, so a choral arrangement qualifies. For example, take the 2-part choir song, “Antiphonal Deck The Halls” by Greg Gilpin. Once the students realize or are told that this is not the familiar holiday song they are familiar with, they can be given a claim to support or refute with evidence form the printed score. You might write this on the board: This song is great for making you happy, and putting you in the holiday mood.” Through spoken discourse, have students gather evidence from the score to support or refute this claim. For example, immediately, one notices that the tempo indication includes the word “brightly” followed by an exclamation point (Brightly!). If I think of other songs that I would consider bright, I realize that they are all happy songs that put me in a happy mood. According to the score, the tempo is mm=96, and the meter is six-eight. Over and over there is the lilting, cheerful rhythm of quarter followed by eighth note. At the tempo indicated, this rhythm sounds like children playing or dancing, and that makes the music sound happy. The title might also provide evidence for this being a happy, festive song. The title indicates that the song will be antiphonal. When I think of antiphonal brass that I have heard in church or in concerts, especially at this time of year, the music made me feel excited, even giving me goose flesh. I also notice that by page 4, the words are now “Fa la la la.” Other songs I have heard that have fa la la sections were merry and bright, so I think this one with its fa la la section will be like that. I also know a more familiar music that is set to these same words, and that song is very happy, so this setting probably will have the same mood. Using evidence in the text to connect to other music or musical experiences brings the student’s response from responding to music to connecting. These are both content standards in the core arts standards for music. The claim that I have presented could also be a prediction. I predict that this music will make me happy and put me in a holiday mood. Once students have found evidence in the text to support this prediction as described above, I then can play the music for them. The music they are hearing can also be considered a nonfiction text; it is real and it is the source of information. After hearing the song, students can locate musical events in the score, or describe them so that the class knows to which phrase or musical event he or she is referring, to support their position. For example, listeners might find that the first twenty measures do in fact sound happy and put them in a holiday spirit, but they might also find that the fa la la section is more contrasting and has a sort of calming, mellowing affect, making it less happy and less festive. The repetitions descending downward and the full cadence after four measures create more relaxation than tension or excitement. On the other hand, they might find that when the “A” section returns and coincides with a key change up one whole step, even more happiness and excitement is created, especially after the more mellow middle section. These are details that the students might not realize are there from reading the text, but discover from hearing the text. I could now use this discovery of the key change to propose another prediction. Because the key change provided added excitement, I predict that the music will get even more exciting at measure 75 where another key change occurs. The students can then once again gather evidence to support or refute this prediction upon hearing the end of the song. By now, the students have used a good amount of information gathered from the text to support or refute claims and predictions. This in itself would be a good standards based lesson including music reading, music analysis, responding and connecting. If the class were then to go on to sing the piece, the students would have gained a valuable understanding of the music they are about to sing, knowing where the expressive peaks and valleys are, what the major rhythm patterns are, where the key changes are, and what the meter is. At the same time, students have gained proficiency in common core shift 2, something that can only endear the music teacher to the L.A. department and the school’s administration. Where Does Music Theory Fit In? Music theory is an area of music education that can easily get out of hand. We own much of our knowledge of music, particularly Western art music, to the scholarship of music theorists, and my study of music theory in college provided me with enough knowledge to enjoy listening to, performing, and even composing music in ways I would never have discovered otherwise. Music theory continues to be an area of interest to me. I say this as a sort of disclaimer before continuing, because I am about to be critical of how music theory is sometimes used in music education. Analysis is an important part of the creative and performance activities of students. Through analysis, students learn how composers use musical elements to craft works into forms, and to be expressive. That said, it must be remembered that music theory is intended to be used to explain and understand musical works that have already been composed. It is not the same thing as a method of musical composition, nor is it a method for teaching music literacy, even though it is often misrepresented as both. Using only music theory to teach students how to read is putting the cart before the horse. 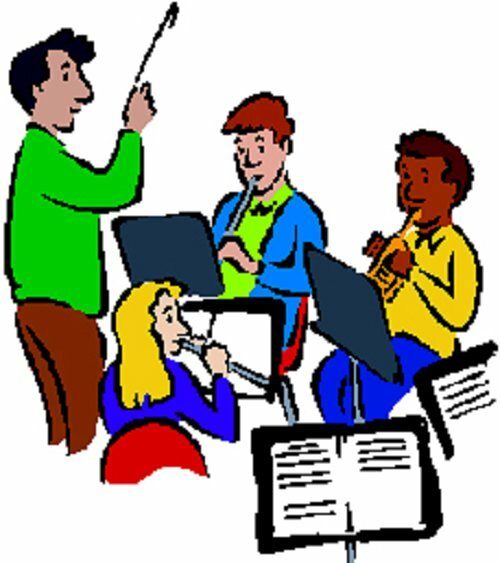 So where does music theory come in the sequence of classroom activities used to teach music reading? I will use the teaching of rhythms as an example. Suppose I want to teach a first grade class half notes, and whole notes. If I were to use music theory, I would show them each kind of note, perhaps on a flash card, or on the white board, tell them this is a half note and it gets two beats, that is a whole note and it gets four beats. I might then have the students chant the note kind they see as I go through flashcards or point to different notes or rhythms on the board. Using this method, I am generating a sound from theoretical knowledge. Now, contrast that method with the following one. I tell the students that I am going to chant a note, and they are to tell me how many beats the note lasted. I have them patsch a steady beat, and then I sing either a half note or a whole note. If necessary, students can count beats out loud. After building competency at this, I then show them my flash card of a half note, or write a half note on the board, and tell them that the note that lasted two beats looks like this. I then show them a whole note, and tell them that the note that lasted four beats looks like this. I ask the class, how does the note that lasts two beats look different from the note that lasts four beats? They tell me the former has a line on it, and the latter doesn’t have a line on it. I summarize, “then a note that lasts four beats has no line, and a note that lasts two beats does have a line.” I then show them one of the flashcards or point to one of the notes on the board. “How many beats does this note last?” After several more of these, I then name the notes. “The one without the line, which lasts how many beats? …is called a whole note. 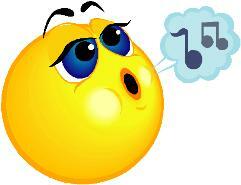 What is the note which lasts four beats called…The one with the line, which lasts how many beats? … is called a half note. What is this note called? What is this note called?” I then write a rhythm on the board made up of just whole notes and half notes and have individual students chant them. I also want the students to recognize whole notes and half notes in music to which they listen, so next I would play them music made up mostly of half notes and whole notes. I like to use “Ase’s Death” from Peer Gynt by Grieg. As they listen, they find the pattern of half and whole notes. I then give every child a card with either a whole note or a half note on it, and tell them to lift up their card when their type of note is heard. All of this goes well beyond computation and theory. Using this method, I am generating theoretical knowledge from sound, which is a more effective approach. Responding to music has been among our music standards from the beginning of the first standards. In its original context, responding was primarily a standard for non-performing students, and was most utilized in music appreciation classes, or listening units in general music sections. As it is now presented in the Core Arts Standards for music, responding is more all-inclusive. Student composers, performers, and listeners are all expected to respond to music through analysis, interpretation, and evaluation. I will look at each of these types of responses to music, and connect them to the common core state standards (CCSS) environment in which we work. The Enduring Understanding (EU) for responding with analysis is, “Response to music is informed by analyzing context (social, cultural, and historical) and how creators and performers manipulate the elements of music.” For this type of response to music, students look at how music concepts are used, how music concepts support a purpose, how students respond to structure, and how students respond to context, including social, cultural and historical. For example, meter might be used to support a purpose that the music be a certain type of dance, such as a landler, or gavotte; or rhythm might be used to prepare and execute a cadence according to cultural norms of the Baroque period, or timbre might be used to support the purpose of representing a battle and commemorating a military campaign, as with Tchaikovsky’s Marche Slav. The EU for responding with interpretation is, “Through their use of elements and structures of music, creators and performers provide clues to their expressive intent.” Here, students show awareness of expressive qualities such as dynamics, tempo, timbre and articulation, and demonstrate and describe how performers use these to reflect the composer’s and performers’ expressive intent. Through the demonstrations, students perform with the expression they have found the composer to have intended, and may add some of their own expressive intent. In demonstrating expressive intent through the manipulation and use of expressive qualities, students gain a practical knowledge and experience of the expressive qualities and potential of music from the perspective of both composer and performer. The EU for responding with evaluation is, “The personal evaluation of musical works and performances is informed by analysis, interpretation and established criteria.” Evaluation begins with personal and expressive preferences in music that are applied to the evaluation. The evaluation is then focused on a specific purpose, and then expanded to both musical works and performances to which established criteria are applied. In addition, the appropriateness to the performance context is discussed, with evidence from the elements of music. For example, ensemble size and dynamics might be evaluated in terms of the performance space. A very small and quiet ensemble performing in an open outdoor space would be found to be an inappropriate use of dynamics and timbre for the context. Where demonstrations are given, data is collected and can be used for assessment. Where descriptions are made, writing can be collected and evaluated, vocabulary can be taught and assessed, and many of the CCSS requirements can be supported without compromising the integrity of music education. Throughout the response process, ample opportunities are present for learning and applying vocabulary to authentic learning tasks, including music criticism and commentary. All aspects of responding to music are equally useful to composers, performers and listeners. Student composers respond to their own creative work by explaining their expressive intent and how they attempted to express it through specific elements. Performers respond to their own performance, explaining both the intent of the composer that they found in the music, and the expressive intent they have found for themselves through the music, and how they attempted to express it through specific elements and performance decisions. Listeners respond to both composer and performer’s expressive intent through analysis to ascertain the composer’s intent, and interpretation and comparisons of multiple performances of the same work to determine the performer’s expressive intent. Where student composers, performers and listeners are present in the same class, a worthwhile dialogue and discussion can take place between the three groups, members of each group learning from the other about the musical works they experience together. Over the last two days, we have looked at teaching students to select and analyze musical works they intend to perform. Through selecting, students learn about the music and reflect on their own interests and skills. Through analyzing, students learn how the music is put together; how it works. With this information in hand, the student must then determine what the composer or songwriter’s expressive intent was. Some of the information needed to do this was gathered during the analysis stage. Emotional and otherwise expressive moments and effects would have been noticed and accounted for, and the sum of those moments and effects is a helpful indicator of the composer’s intent. An overly dark sounding, somber work was probably meant to express lamentation or unhappiness, and the means by which the composer accomplished making the music sound dark and somber would have been revealed in the analysis. Further reflecting on the message of the lyrics if there are any, and the perceived emotional meaning will make the expressive intent more conclusive. Sometimes, the context can also be helpful. For example, if the music was written for a scene in a film, the story and action at that point will shed considerable light on the meaning the music was meant to have. Notice the last phrase; meaning the music was meant to have. It is important to that students not be allowed to subjectively say what they think the music means to them, for that is not the point. The objective is to determine what the music means to the composer so that the students can give an interpretation of the work that expresses the composer or songwriter’s intent. There may and should be some further room for personal expression in the performance, but always with the composer’s intentions in clearly in mind. 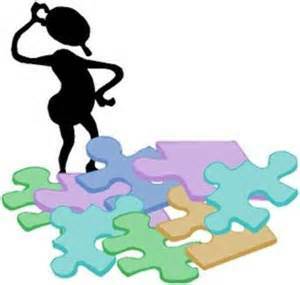 By this point in the process, with the knowledge that selecting, analyzing and interpreting has brought, the student has a clearly delineated framework on which to build rehearsals, refinements, and evaluations. The student now knows what he or she is trying to accomplish, what the music is about, how it is put together, what challenges can be expected in learning it, and what the final performance should express. The student then begins rehearsing. The structure (analysis) can be heard through the phrases, rhythm, pitch relations, articulations, and dynamics. Of those, some will need adjusting in order to clarify the structure, or produce an interpretation closer to what is being attempted. Remembering some of the rules from yesterday, returns to the original melody are led into with rallentandos, and phrases are nuanced according to pitch direction. If there are lyrics, the meaning of them is expressed more fully with musical devices until the words exceed the bounds of poetry to express. Pitches are practiced to gain accuracy and good singing or instrumental voicing and tone. Most if not all of the musical vocabulary the students have learned ought to be brought to life in full application during the rehearsal. When the student thinks they have progressed beyond where they started, a trial performance should be given and recorded. Once this is done, the student then evaluates his or her own performance from the recording, taking notes while listening. These notes and reflections are then put to immediate application as the rehearsal resumes, and the student puts into practice what was learned from evaluating their recording. This continues through many cycles, until at last a trial performance is given and recorded that clearly articulates the structure and form, faithfully expresses the composer’s intent and secondarily reflects the performers intent, and in which the rhythms and pitches are accurately rendered. At that point, it is appropriate to regard the performance as being ready to be given publicly. The logistics of recording trial performances can be as simple as students recording themselves on their smart phones, or approaching recording stations set up in practice rooms. Alternatively, and perhaps more desirable, is for students to perform their trials in front of the class, which quietly listens to each trial performer in turn. For the final performance, the room must be quiet, and the recording must be made under the best of conditions, so that it can be valid for assessment. Once a musical work has been selected (see my post for yesterday on selecting repertoire) the next step in the process of preparing it for performance is to analyze. The focus of the analysis should be constrained to what will be useful to the student, and to what interests the student in the work. Students should be aware of all the musical qualities the composer used, that they can be properly interpreted and performed. Included should be use of dynamics, tempo, articulation, phrasing, rhythm, and melodic contour. I have been writing lately about the methods of Jaques-Dalcroze, and so I shall draw upon his writings again here. Jaques-Dalcroze wrote thirteen rules of nuance and phrasing. In as much as we are considering dynamics, tempo, articulation, phrasing, rhythm, pitch and melodic contour, they will serve our purpose well here, and provide a clear framework for students to follow for their analyses. The students should look for the condition described in each rule, and then apply the method of nuance or phrasing prescribed. All ascending melodies (with exceptions) must be sung with a crescendo and all descending melodies (with exceptions) must be sung with a diminuendo. Not all melodies are nuanced with the same intensity. When a passage contains very accented rhythms, the nuances of crescendo and decrescendo should be weaker than if the rhythm were less accented. If a note in an ascending line is prolonged, it should be part of the overall crescendo. When a note is repeated several times in a row, it must be accompanied by a crescendo. When a note is repeated several times in a row, preceding the original melody, the crescendo should be accompanied by a rallentando. Whenever a rhythmic and melodic group is repeated two times in a row, you must breathe between the two and perform the repetition with a different nuance than the first was performed. Any melodic reprise which is prepared must be accompanied by a rallentatndo. When a melody ends by a series of stepwise notes of the same duration, thse last notes should be slightly staccato. If these preceded the return of the melody, they should be accompanied by a rallentando. Whenever a link (“a link is a series of notes of the same duration”) leads to the reprise of a melody, where the first notes are twice as long, the rallentando of the last notes of the link must be large enough that these notes become twice their original length. Whenever a theme is reprised by a link made up of shorter notes than the theme itself, do not breathe until after the first or second notes of the theme. Any series of notes isolated in measures containing silences that end a piece must be interpreted with a rallentando of the silences. When two notes of the same duration but different scale degrees are tied together, the notes are always performed STRONG-weak, even if the second note falls on a strong (or stronger) beat than the first. (This rule derives from the second rule of phrasing: that the last note of a phrase should be performed more softly.) When the second note falls on a stronger beat (a), it should be performed more softly. When the second note falls on a weaker beat (b), the first note should instead be performed louder with a natural relaxation into the second note. Jaques-Dalcroze (1906). Les Gammes et Les Tonalites, Le Phrase et Les Nuances, volume 1, translated by Gregory Ristow. What Can Be Learned About Children from Producing A Musical? It is good to beck with you again. Our production of Grease School Version was highly successful and great fun. Now I am happy to once again have time to post here. Last week the culmination of months of practice took place as my students gave performances of the musical Grease School Version. The students ranged in age from 8 to 12 years. I am now enjoying those few days after a successful run of shows when I can reflect on and appreciate what was accomplished. This time has also given me time to think about why some aspects of preparing the show were more difficult than others. The two most difficult things for the students to do were memorizing lines and remembering what their part in the next scene was going to be. I want to talk about these two difficulties, because I think there is good reason why they exist, and they bring important issues about American children in general. Memorization is a skill, and skills need to be learned and practiced. Memorization is also undervalued and underused in education today. Many have concluded that because virtually any piece of information is instantly available through technology, memorization is unnecessary. One only needs to know how to retrieve information. Yet the arts make unique demands on the human memory. To draw a picture or sculpt an object, one needs to have a picture of what is being drawn or sculpted in one’s imagination before the image can be transferred to an observable work of art. 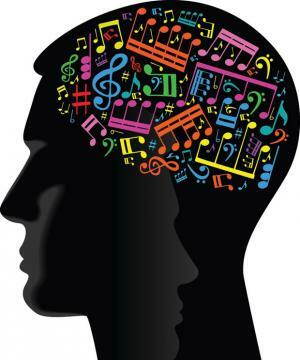 Similarly, music must be cognitively organized and understood before it can be performed, and written-down music is most expressively performed entirely from memory. So it is not surprising that students would struggle to memorize lines, given that they spend relatively little time practicing the skill, and that it is not valued by those entrusted to educate them. On the other hand, it must be noticed that the arts make a critical contribution to a part of a child’s education that is otherwise lacking where arts education is missing. The second area of difficulty was knowing what to do in the next scene. The students had a hard time seeing the forest for the trees, seeing the sum of the parts and the parts at once. This too is not surprising. Much of the media we all consume is made of images and sounds that last only seconds, and frequently jump form one thing to another. Everything from music videos to television news to movies are put together in short segments that rarely require us to expand or attention spans beyond a few seconds, or unify segments over long periods of time. Once again, we are dealing with a skill. This time it is the high level operations of analysis and synthesis. Analysis is the identifying and understanding of the individual parts, and synthesis is the understanding of how the individual parts relate to each other and combine into the whole work. In music, we teach motifs, themes, theme groups, sections, movements, and whole works. We see how the smallest parts are used to build larger parts, how they relate to each other and complement each other to result in a balance of variety and unity, tension and relaxation. In a play, each scene has the same function. Lines within a scene are used to build relationships between actions and characters, and to create drama which unfolds to tell an overall story over many scenes, which connect and relate to each other. This level of commitment to form and structure is rarely required outside the arts. Even in Language Arts, test taking skills and microform have dominated deeper level thinking and reasoning skills in an effort to improve scores on shallow standardized state tests. Analysis and Synthesis are also aspects of human knowing and learning that are prominent in arts education, which is more evidence of the need for arts education everywhere children are being schooled. As is often the case, though rarely acknowledged, curriculum writers, policy makers, and educators in other disciplines can learn much from arts educators, who have already been doing what the rest are now discovering is needed.